One of the first steps in learning part-singing is through canons/rounds. I love teaching students how to sing in canon- their faces just light up when they are first able to sing in two different parts without my help!! Here is a step-by-step walk through of the teaching process I use to get students singing canons for the first time. I've honestly taught students as young as pre-kindergarten to sing a canon independently- it can be done at almost any age. BUT I think the ideal age to start working on part singing is at the end of 2nd grade. I focus on it mostly at the beginning of 3rd grade, but I like to throw it out there at the end of 2nd grade as an exciting challenge to keep them engaged when the end of year crazies set in. Although younger children can certainly be taught to perform a song in canon independently, most of them will do so by ignoring the other part completely and won't have a true "part-singing" experience (so what's the point?). Focus on pitch matching and quality vocal tone with your younger students. Of course to teach students to sing in canon, you need a good song to start with! My favorite one to use is this one about an obnoxious cat. I've looked high and low for the source of this song with no success- if anyone knows where it comes from please let me know! The kids love this song because it's funny. I like it as a first canon song because each phrase that the students end up singing simultaneously has a different rhythm and pitches so you can clearly distinguish each part, which helps them stay on their own part when they first start singing in canon. 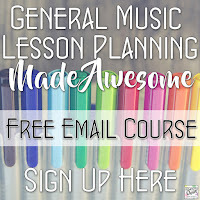 You can find lots more great canons in this list from Beth's Music Notes. The key to any new part singing endeavor is to make sure students are able to sing their part confidently. I always start teaching the song without doing it in a round at least 2 classes before we start talking about canon singing. The other key element for helping them sing their part confidently is motions. Although having different rhythms and pitches for each phrase helps them distinguish their parts, having the motions to go with it make a huge difference because they can visually see which part they are singing, and kinesthetically show what they're singing. It engages them more fully in the song and helps them stay on their part. It doesn't matter what the motions are, but make sure that each phrase has its own motion. I start off teaching the motions first- I tell them we are learning a new song and have them listen to me sing it while they mirror my motions (in the case of the cat song, I make sure to make angry faces etc as well!). Then students learn the song by echoing after me one line at a time with their voices and the motions, and finally sing the song together with me, still doing the motions. We review the song again next class as a "regular song" to make sure they know the words, melody, and motions well. Once they've had a few days to let the song "sink in", it's time to get them singing in canon! Hopefully after singing the song several times over a period of a week or so this step is easy, but I make a big deal about telling them that they are going to learn something tricky today and tell them the first step is to sing the song without my help. First I stop singing and just do the motions with them, and then I stop doing the motions as well (at each step in this process, if they seem at all hesitant I have them try again and make sure they can do it confidently before moving on to the next step). 5. Teacher as "part 2"
Once they can sing the song on their own confidently, I tell the students I am going to try to be sneaky and distract them, but they should do their best to sing the song again exactly the way they just did and don't let me distract them (they usually get really excited about this!). I have them start the song, then I enter (singing softly and without the motions) as part 2 (in measure 5 for the cat song). If even my quiet singing is too much for them, I'll try avoiding eye contact as well- I've even done it by going behind them and singing from the back where they can't see me. If they can stay on their part, I tell them, "Well that was obviously too easy for you! I went easy on you that time, but I'm gonna really try to get you this time!" and have them do it again while I sing full volume and with the motions. Once they can do that, it's time to split them up into parts themselves. The next step is to split them up into 2 parts. The key here is to make sure you have your most confident singers split up between the 2 groups- while they're practicing singing in canon with me, I watch to see which students are able to confidently hold their own and make sure they are split up between the parts. I start each part and then help them along with motions and/or singing if either part starts to lose it! Once they make it through the song, I switch part 1 and part 2 and do it again. If the song is long enough to allow it, I like to split up the class into more parts after that! With the cat song you can go up to 3 parts, which is plenty for 2nd graders. Again, I make sure to give each group a turn singing the first, second, and third parts, and I make sure to split up the most confident singers on each of the parts. Once the students have mastered canon singing, they're ready to move on to partner songs! Check out my next post in this series to read about how I teach those :) What are your favorite rounds/canons to start your students on? 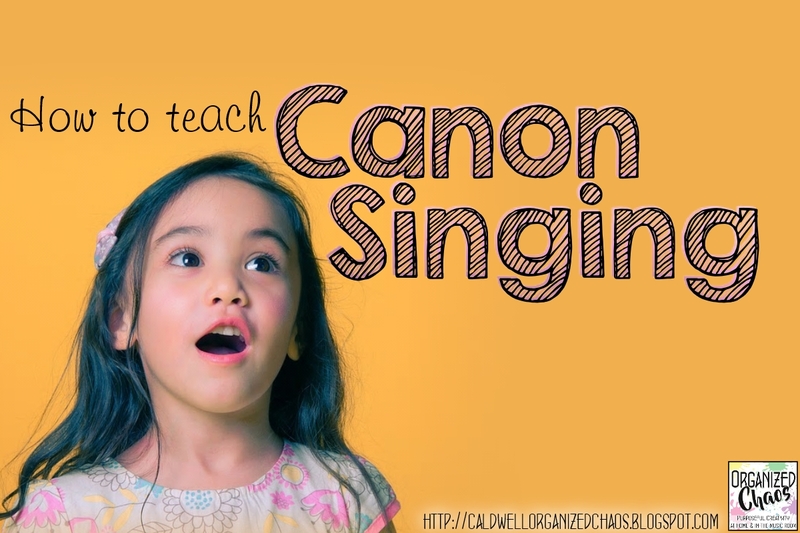 What age do you start teaching canon singing? I'd love to hear your thoughts in the comments below! Want more? Click here to sign up for the Organized Chaos newsletter and get more ideas and resources for school and home sent straight to your inbox! 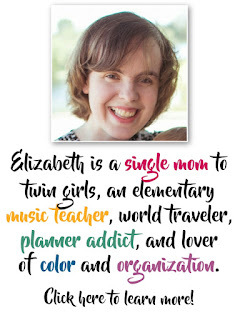 Hi Elizabeth, Can you please tell me who wrote this Cat song, is it called "The Cat is Howling" and what book it is in? Hi Terry, unfortunately I haven't been able to track down the source for this song, though I've tried! If you come across any information let me know :) It was one of those songs I learned from another teacher who learned it from another teacher etc and I have loved using it for years but haven't ever seen it in a book. No way! You are my hero! :) Thank you so much for pointing me to the origins of the song!! !